Well, if last year’s event was any indicator, it certainly looked like the novel gathering at Regis High School in Manhattan for the first annual Sober St. Patrick’s day was an idea long overdue. The sold out crowd packed the Catholic high school with great enthusiasm and curiosity for the visionary occasion organized by television producer William Spencer Reilly. So the event returns this year again on the day of the big march on Fifth Avenue, Saturday, March 16 from 3 -6 p.m. at Regis High School (60 East 85th Street) which is just a few blocks from the end of the parade. The prime entertainment attraction once again features Brian Conway, John Whelan and the Niall O’Leary School of Dance. Since this is very much a family event, one that you will not be afraid to bring your children to on the day, both Whelan and Conway will have some fantastic young musicians with them to play like the incredible Haley Richardson, a phenomenal young 10-year-old fiddler who has performed on stage around the county. 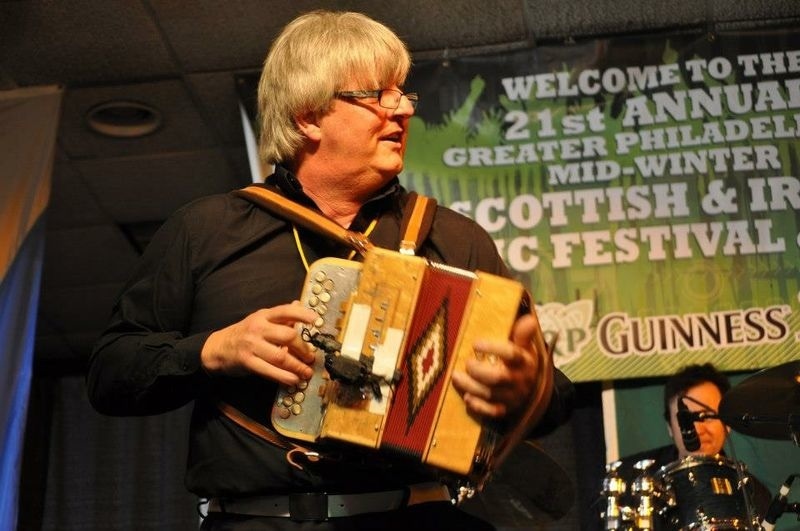 Conway, known as one of the best Irish fiddlers that America has ever produced, is delighted to be returning to this special event and was very impressed with it last year. “It is like an oasis compared to some other gigs that you could be playing at this time of the year,” he told the Irish Voice. He doesn’t mean that it is devoid of a party atmosphere and noise, but simply that the emphasis isn’t on drink which leads to excessive behavior or a false sense of pride. Whelan, who grew up in England, boasted that his father and grandfather were deeply involved in Irish music and never took a drop. As a young immigrant over here, Whelan candidly admitted that substance abuse left him dealing with a lot of issues, and he sees the need for an event like this where being Irish is a positive enough. He noted that while one aspect of the day is a safe harbor of entertainment and Irish fellowship, the access and availability of so many agencies and organizations setting up tables there to deal with the social issues behind alcohol and drug abuse is a vital part of what they day is all about and a tribute, if you will, to Reilly’s vision and goals. Once again this well-publicized occasion will be a tough ticket to score, so you will want to visit www.soberstparticksday.org as soon as possible if you want to attend this year.